Loving husband of the late Alice nee Powell. 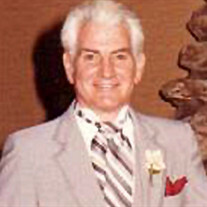 Beloved father of Patricia (Thomas) Bresnahan, Cynthia (Kurt) Ehrlicher, and the late Keith J. Russ. Fond grandfather of five and great-grandfather of one. The family of Mr. Leroy R. Russ created this Life Tributes page to make it easy to share your memories.